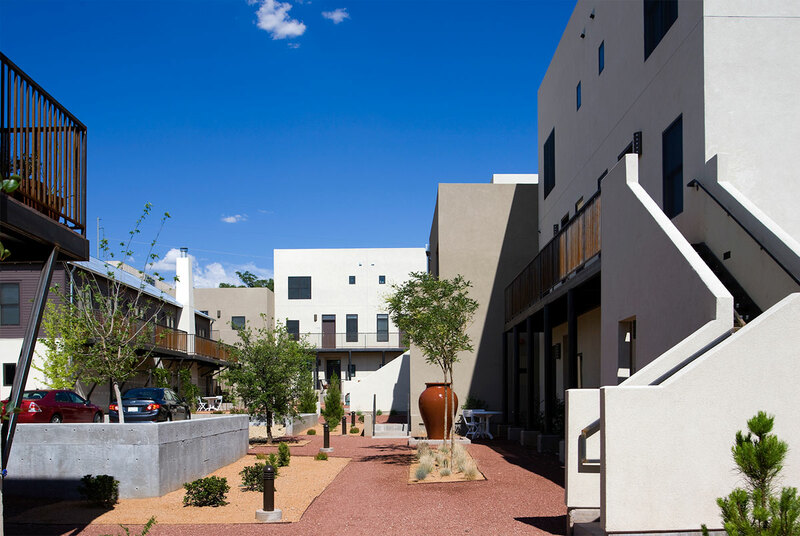 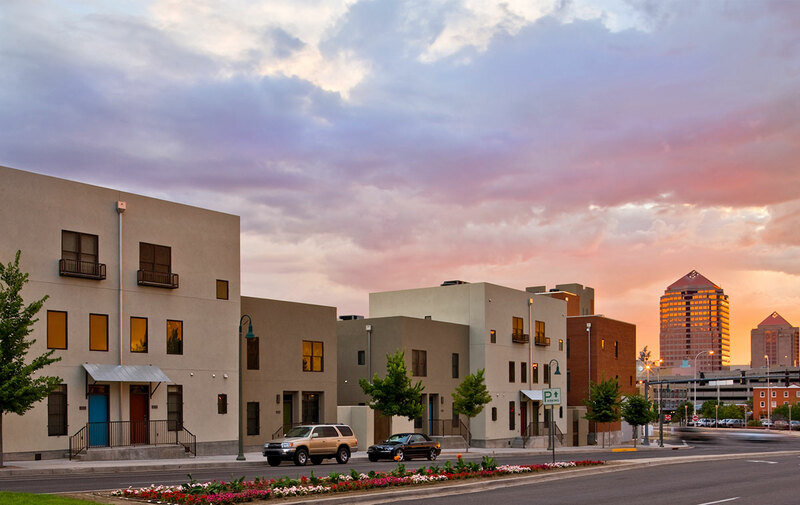 BelVedere is a 54 home, urban courtyard housing project located on an entire city block in the historic Huning Highlands, railroad era neighborhood. 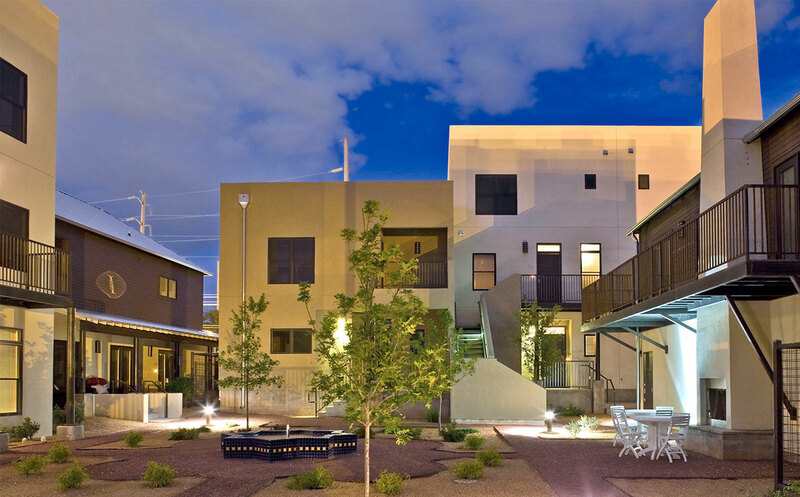 BelVedere was designed around the concept of urban courtyard living. 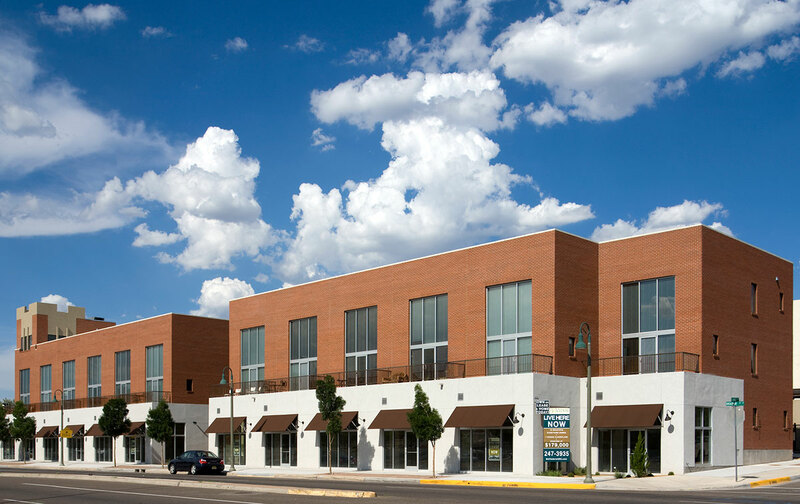 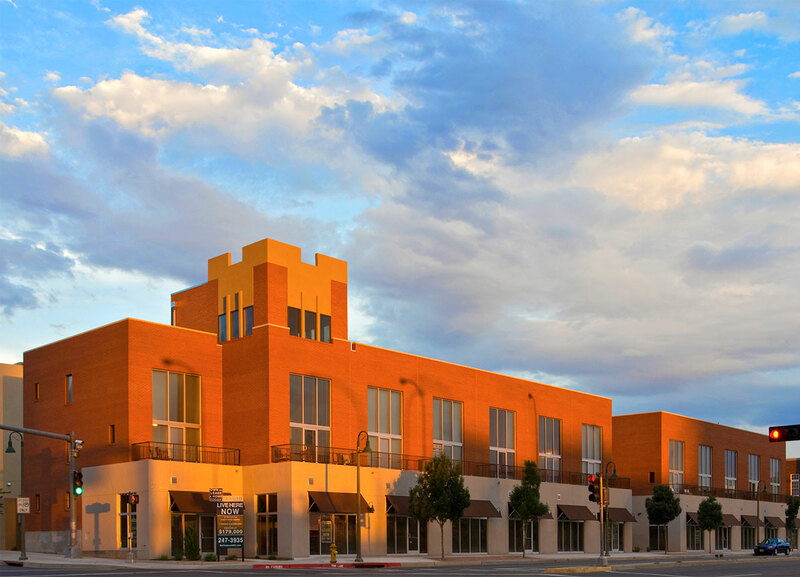 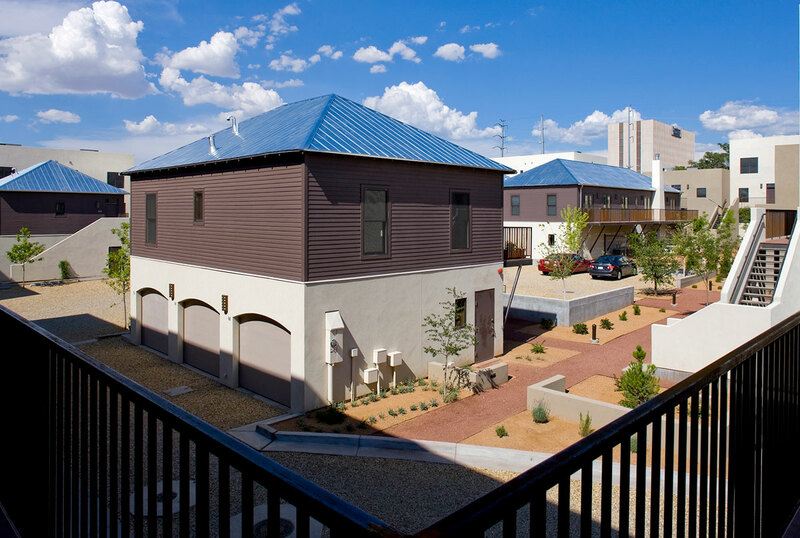 Courtyard housing is a building type with a rich history in Mediterranean and California lifestyle communities. 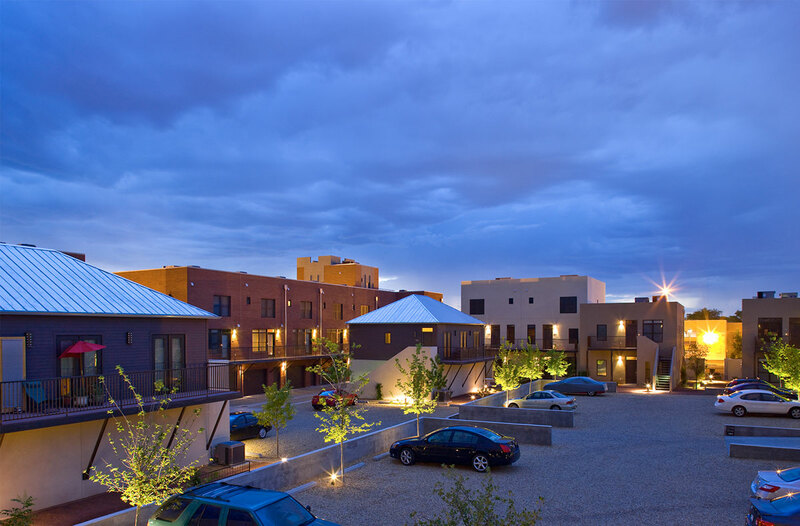 It enjoys a similar pedigree in New Mexico from the ancient Anasazi’s through the first half of the twentieth century. 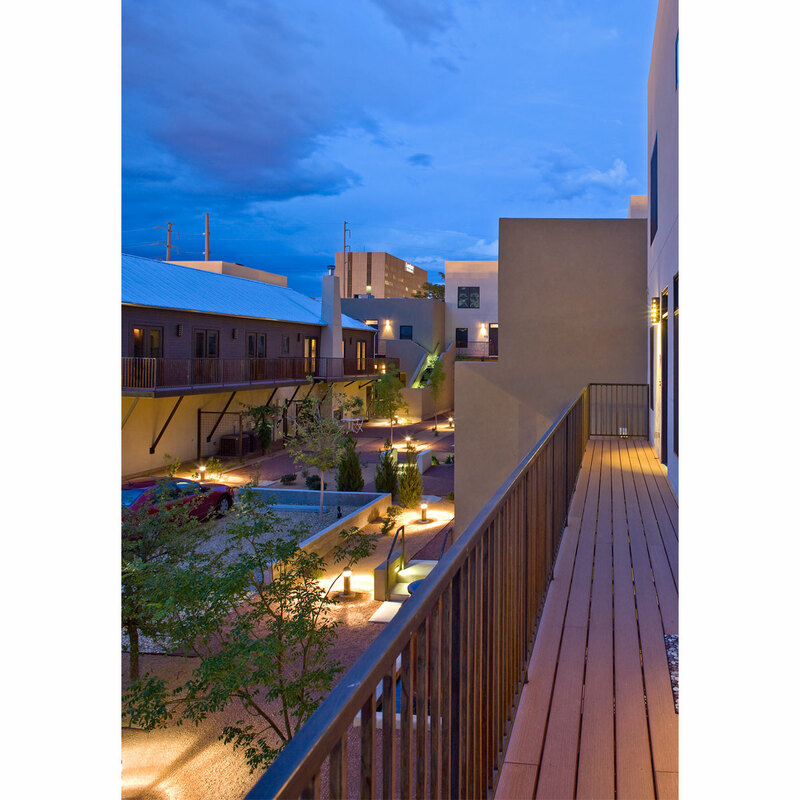 Courtyard living has been highly successful where protection from hot, dry climates is needed.